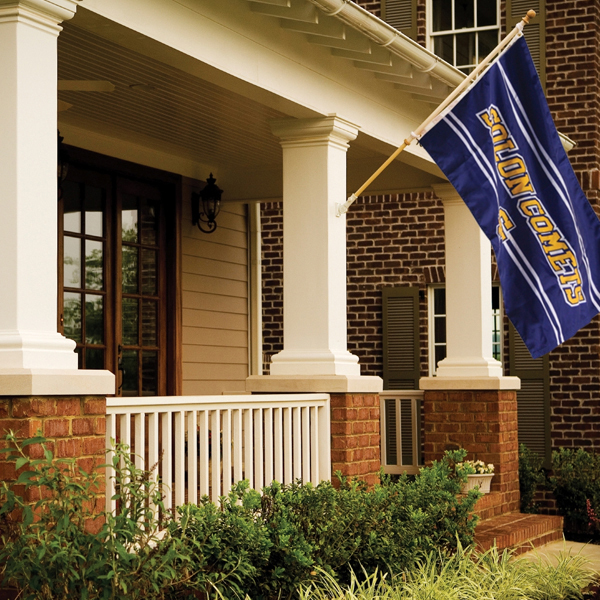 School Spirit Builders Pole Flags are printed using superior direct to fabric dye sublimation equipment. These premium quality flags are printed on 3 oz. Polyester and have a canvas reinforcement strip with 2 grommets on either the left or the right side.